Amanda Holden and Alesha Dixon sandwiched Simon Cowell in, as they posed with him yesterday(August 22nd) at his Hollywood Walk of Fame Star Ceremony in LA. Amanda Holden wore a really cute SAFIYAA yellow off-the-shoulder, peplum jumpsuit with wide-leg trousers. Her chic jumpsuit was accessorized with round sunglasses and a pewter clutch which topped off her look. Amanda looks fab but I would remove the clutch. Simon Cowell obviously didn't care about what he wore. The white button down shirt, even though partially buttoned, was still tight and those navy pants needed to be hemmed badly. This is just messy. 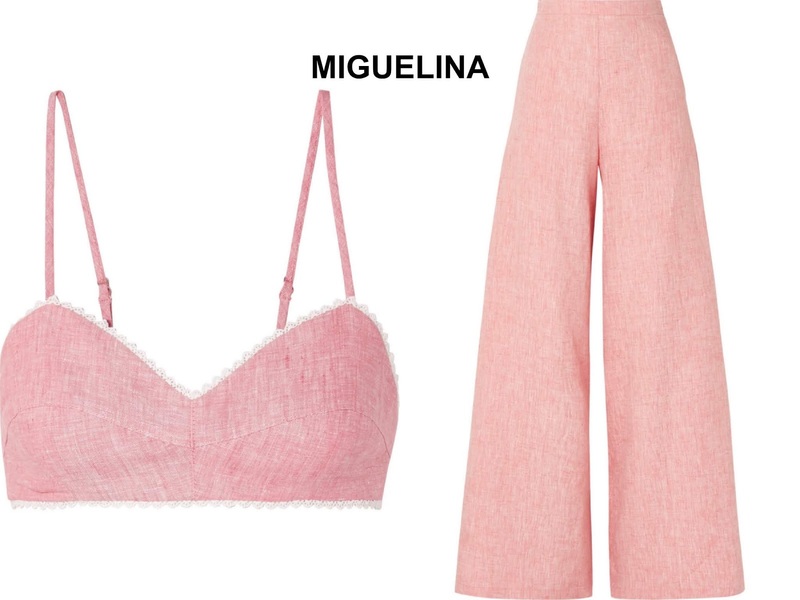 Alesha Dixon rocked a MIGUELINA red linen bralette, featuring feminine crochet trimming with the matching 'Pamela' wide-leg trousers. A CHLOE shoulder bag, gold jewelry and straight tresses finished up her great look. I love flare leg pants and Alesha nailed her look overall. You can get Alesha's Miguelina ensemble at Net-a-Porter, the bralette HERE and the pants HERE.